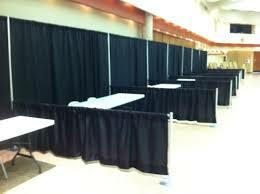 We rent Pipe and drape, trade show booths and party rental equipment in the Atlanta Georgia area. Backdrops, Drapery. Please place your Pipe/Drape order for Trade Shows early! Don’t be disappointed… Try to reserve at least 3-6 months ahead and 9-12 months ahead for the big shows. Special pricing on larger orders! Pipe and Drape is a great way to hide unsightly areas, create booths, or back drops for staging or tents. You may also create a "room" with 4 walls for changing areas for events or fashion shows. 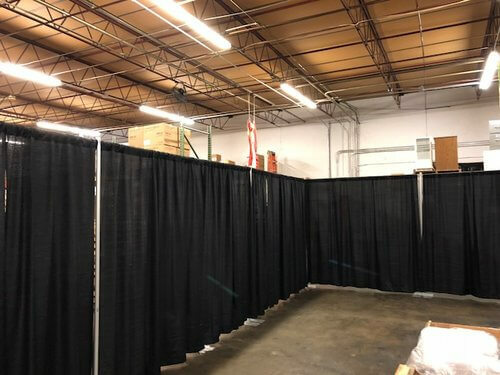 Our Pipe and Drape rentals can create a non-intrusive background space. Ideal for trade show booths, stage backdrops, and room dividers. 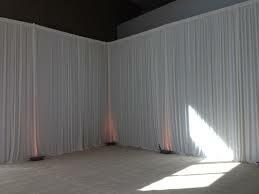 Pipe and drape rentals are the fastest and safest way of hanging drapes in your venue. 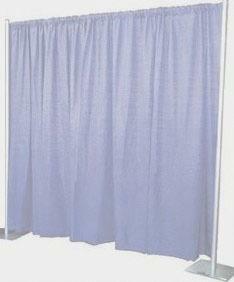 The pipe and drape is free standing so they are great for room dividers, partitions, and backdrops for staging. Pipe and drape is ideal for concealing unsightly areas. Use pipe and drape to conceal warehouses, community centers, gymnasiums and create your own beautiful event wonderland! 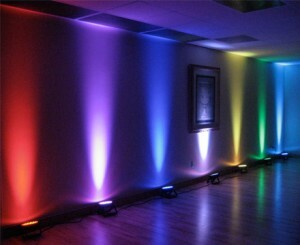 Add up lighting to our white or sheer pipe and drape and you have unlimited color decorating potential. A-1 Rentals has transformed numerous facilities around Atlanta and North Georgia into beautiful event venues. Trade show booths can be created using our pipe and drape. Let A-1 Rentals help you design your trade show booths. We can create a pipe and drape system for your event. Our trade show booth rentals can build off each other which results in rental savings to you! 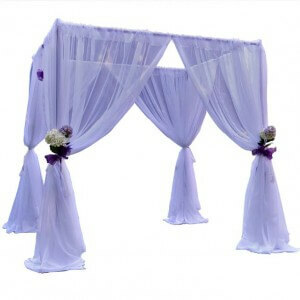 Pipe and drape is popular all year round. They can be used indoors or outdoors. Reserve your rental early! 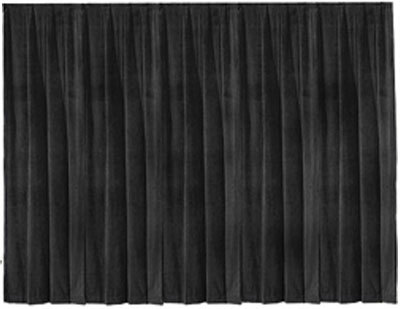 Our black velour drapes are perfect for events looking for privacy, creating walls or hallways. Velour is drape that looks elegant and classy. Ask about our large order discounts! 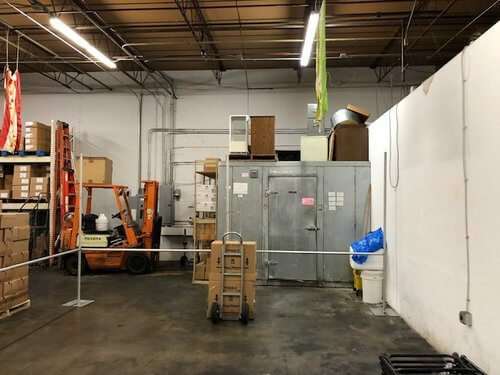 Pipe/drape is also great to partition off areas in a warehouse. We can go from 8' to 12' High. Great for in house trade shows or seminars. Make a room or block out unsightly areas.